Attractions like Murudeshwar and Jog Falls make great kid-friendly stops. Venture out of the city with trips to Hodbandur Beach (in Kumta), Honnavar (Kodlamane Shree Vishnumurthy Temple & Shree Benne Mahaganapati Temple Kaikatgeri) and Idagunji Maha Ganapathi Temple (in Idagunji). 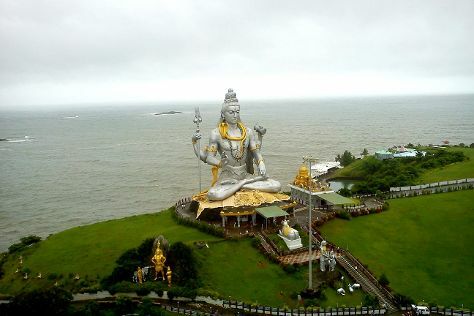 To see where to stay, other places to visit, ratings, and other tourist information, read our Murdeshwar vacation planner. Chennai to Murdeshwar is an approximately 11-hour flight. You can also drive. Finish your sightseeing early on the 1st (Wed) so you can travel back home.